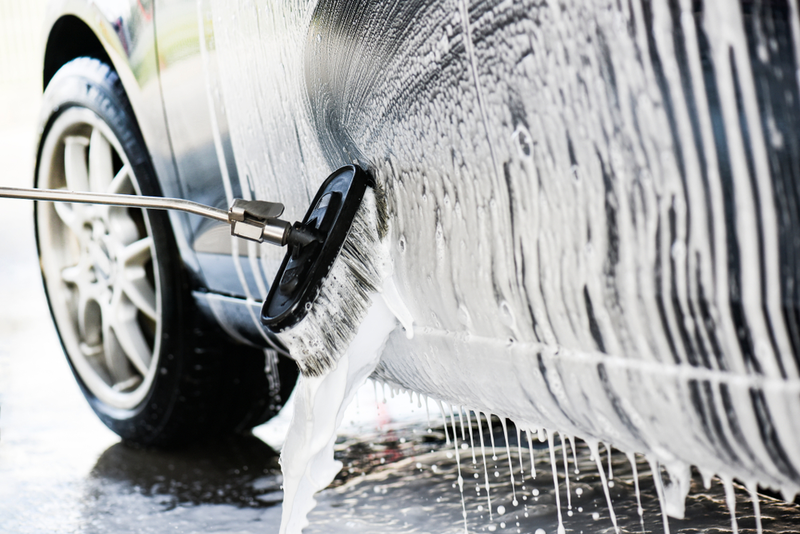 Learn the do’s and don’ts of using a jet car washer when cleaning the exterior of your car. Also, read some tips in choosing the best pressure washer for you. Pressure washing is the best way to clean cars. Before using your washer, make sure to check your brush. Assess if it is clean and is suitable for washing your car. Old brushes tend to be hard and may cause unwanted scratches on your car paint. Park your car in a manner where you can freely use the washer without putting pressure on its cord. It is advisable to use a jet pressure washer on concretes or asphalt. Loose stones or pebbles like those in gravel may bounce and potentially damage your car. Choose the appropriate detergent for your washer. Using the correct one will give you better results. Do leave the foam on the car for some minutes before rinsing it off, but not too long for it to dry. This will help you remove stubborn grease, mud or dirt on the car. Leave the foam for several minutes before rinsing it off to remove stubborn dirt. Dress up appropriately. Protect your feet from accidental spray by using closed-toe shoes or boots. Use gloves to protect your hands and eye gear for your eyes as high-pressure washer may potentially cause injury. Also, check your pockets for things that might get wet like your mobile phone or money. Make sure that all the doors and windows of your vehicle are closed prior to beginning the washing processes. Point your washer nozzle away from your car or on the ground before turning it on. Initial water burst may be very strong and may cause damage to your car. By doing this, you may adjust the washer to your desired water pressure. Follow the manufacturer’s reminders and guide when using the washer. The general pressure setting for a jet car wash is 2000 psi. However, make sure to use a lower setting of 1200 psi on fragile areas like windows, mirrors, and lights to avoid damage. 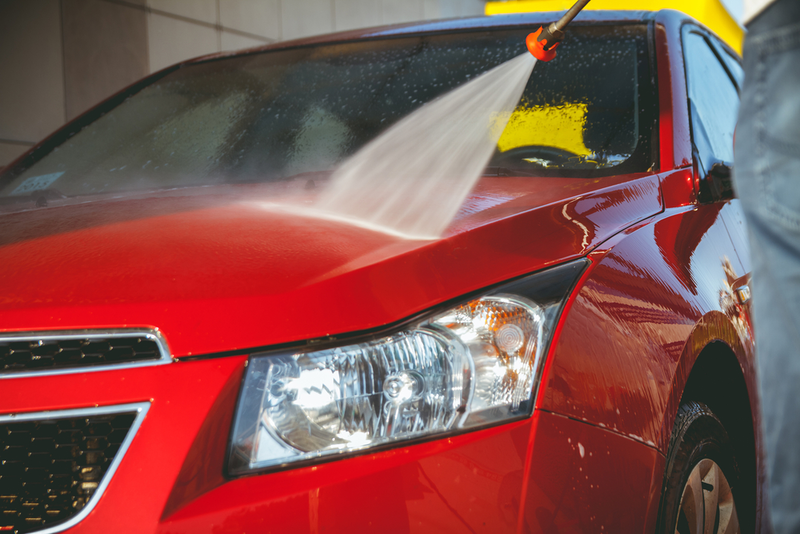 Once you are done with your jet car wash, you may use a microfiber cloth for a shinier car. Most importantly, make sure to prioritize safety when using a pressure washer jet. Check if anyone, especially children, is near you and that they are within a safe distance when you do your cleaning. Always remember that high-pressure washers may cause serious injuries if not properly handled. Don’t use a tornado nozzle for car cleaning. This type of nozzle is too strong for cars and may cause damage to the car’s paintwork. Don’t put too much pressure on areas that are already damaged because it might cause more damage to the surface. Don’t do a jet wash when cleaning your engine bay or the interiors. Oil, electrics and even car seats are not compatible with water pressure cleaning. Don’t use a high-pressure jet washer on old tires. Too much pressure may cause an explosion. Don’t overly dilute your detergent. If the proper ratio of water and detergent is not followed, you might not be able to achieve the results that you are aiming for. Don’t start below when cleaning. Always wash the top of your car first and then proceed with cleaning downwards. Small stones usually attach to the brush when cleaning the wheels. Therefore, if you use your brush on your wheels first, the small stones might damage the paint on the other areas of your car. Always wash your car from top to bottom. Don’t point the nozzle of your water jet washer on your panel gaps as these areas are prone to leaks. This is especially important for old cars. Don’t forget to rinse the nozzle and the brush after using. Don’t open the machine and refill the fuel while the washer is running. Don’t use the pressure washer if there is a leak in the hose or in any of its system connection. Don’t use the pressure washer on any glass surface. Its high pressure might cause it to shatter. Don’t point the nozzle to people and animals. Choose a washer with a long hose of at least 5 meters long. It will help you access even the hard-to-reach areas of your car. You may want to find a washer with various nozzle setting. It will help you adjust the pressure settings to prevent damage to your car. Choose a pressure washer with an adjustable nozzle. This will help you easily clean arched areas like the wheels. Buy a pressure washer with wheels. This will help you move around your car with ease. Choose a pressure washer with an attachable foamer bottle. This will help you utilize your detergent better to attain the best results. Also, if you have it attached already, then there is no need to carry a detergent container around when cleaning. 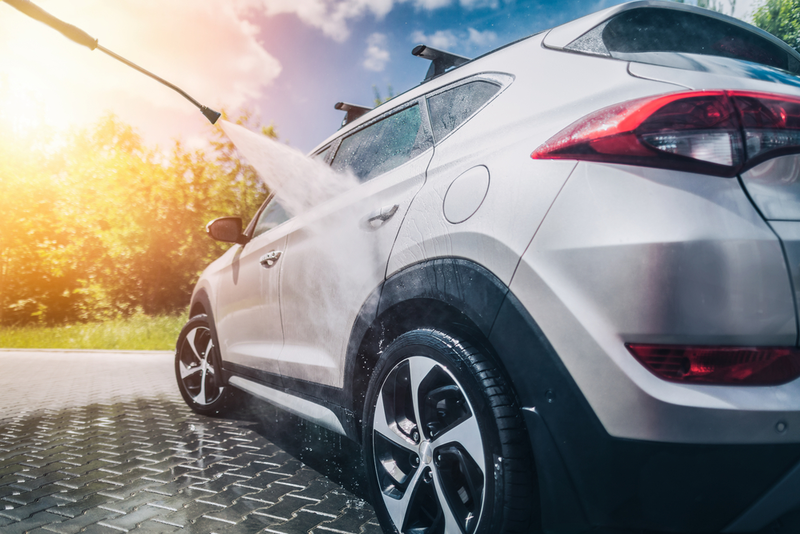 Using a jet car wash may be one of the best innovations in car cleaning. However, as with any other machines, it must be handled with utmost care to avoid any untoward events. Also, remember to follow the guidelines to achieve the best results and have your car magnificently shine.